This is a quintessential dinner and movie staple for those cold winter nights when the fridge is bare and effort is unwarranted. Served in a huge mixing bowl for maximum chic. Best accompanied by a snuggly blanket. Coat the bottom of a saucepan with oil and add a pinch of salt. Turn on the heat. When the oil is smoking, add the popping corn to coat the bottom of the pan evenly and place lid on pan. While the corn is popping shake periodically to ensure the un-popped kernels reach the bottom and pop! 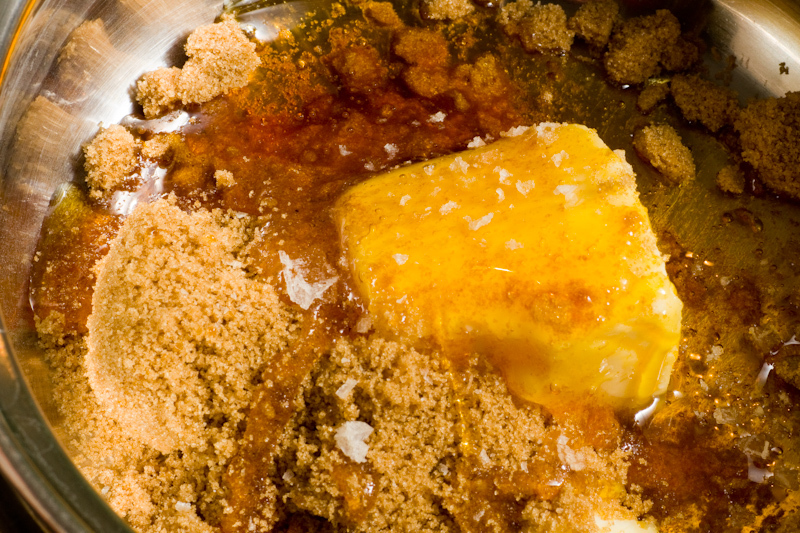 Put the butter, sugar and syrup in a heavy base saucepan on medium to low heat stirring continuously. Once melted, add salt to taste. Once all corn is popped, transfer all popcorn to a large mixing bowl and drizzle the toffee on top. Put on wooly socks and eat immediately.